When you walk through the glass doors and into the bright white space, you are greeted by tall ceilings, lush green plants, and splashes of pinks, oranges, and blues. Located at 611 Gore Avenue, on the outskirts of Vancouver Chinatown, Kokomo has a plant-focused menu with a sun-inspired theme. The colourful, vibrant design of Kokomo’s first and only brick-and-mortar store is inspired by all things summer. “Good vibes you can taste” is the first line on their website. This tagline can only be understood upon tasting their famous vegan soft serve ice cream, CocoWhip. 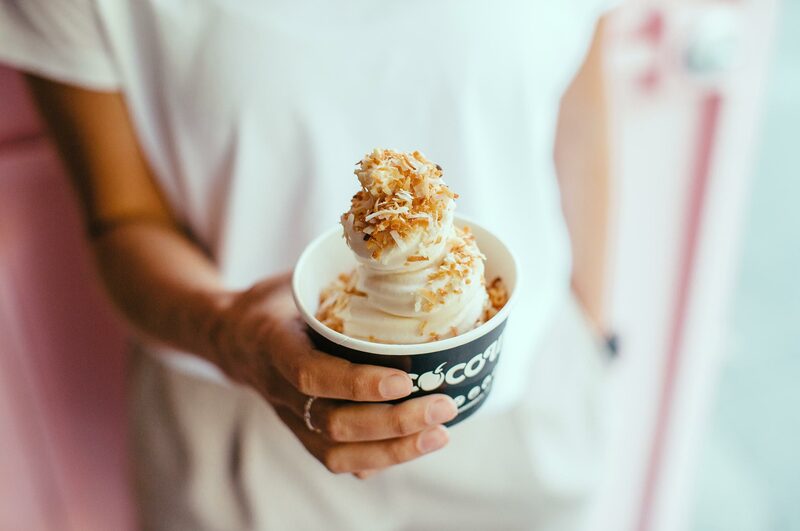 Originating from the East Coast of Australia, CocoWhip is made with organic bio-fermented coconut powder, coconut water, and vegetable sourced stabilizers. CocoWhip is a popular menu item at beachfront health food shops across Australia, and Kokomo is the first and only Canadian store that sells this sweet treat. The base is a natural vanilla-coconut ice cream flavour, and one can choose from Kokomo’s rotating list of creative toppings. The spring 2018 selections are Mango Chia Lime (pieces of mango with chia pudding, lime seasoning, and chunks of crystallized ginger) and Chaga Espresso Caramel (chaga mushroom powder, espresso, and vegan caramel drizzle whipped into a sauce). If you want to keep things simple, try the natural vanilla-coconut flavour, sans toppings, for a refreshing treat on a hot summer’s day or on any day for that matter. Hemp Caesar Salad, Nood Beach, and Flower Child Salad bowls (above); CocoWhip topped with coconut flakes featured in the main image. 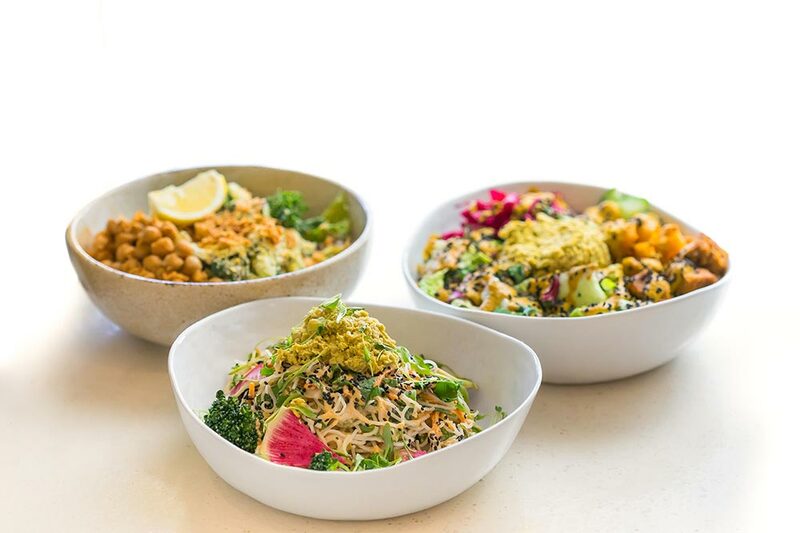 For something more filling, Kokomo offers a selection of thoughtfully curated plant-based noodle and smoothie bowls. From the Nood Beach to the Sunflower Acai, the Flower Child Salad to the Coastal Macro, the menu items are delicious and exemplify the summer theme. A customer favourite is the Hemp Caesar Salad, a fresh vegan take on the classic Caesar, containing crisp greens, hemp hearts, marinated chickpeas, topped with crispy shallots and a hemp seed dressing. The next time you find yourself roaming the streets of Chinatown and craving a bite to eat, be sure to stop by Kokomo for a bowl full of sunshine—smoothies, noodle bowls, and vegan soft serve galore.